Twitter Lead Generation Cards can help build your contact database quickly, easily capturing leads from your Twitter feed's followers. Your followers simply click the card to opt in, without leaving their Twitter feed or having to fill out a form. This ease of use has made them very popular with marketers. This integration makes your Twitter Lead Generation Cards into virtual opt-in forms, populating or updating the contact information in ONTRAPORT, ready for you to follow up and convert them into customers. To use the free version of Twitter cards see the article for Free Twitter Cards. Note that Free Twitter Cards do not display as ads in your feed, and the image is not shown until the follower clicks the tweet to expand it. Create two new Custom Fields by clicking Contacts > Settings and clicking on the Field Editor link. Create a text field named "Full Name" for use by Twitter. Twitter is not able to populate the standard "Name" field in ONTRAPORT. Create a second text field named "Twitter Screen Name". Save the additions by clicking the button at the top right. 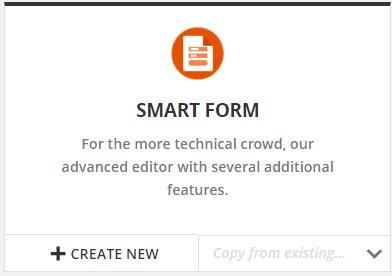 Create a Smart Form (not an ONTRAform) by navigating to Contacts > Forms, selecting the New Form button and selecting Create New on the Smart Form icon. The default form loads. Remove the First Name and Last Name fields. 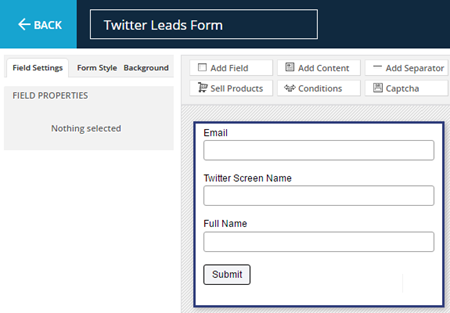 Click the Add Field button and add the "Twitter Screen Name" and "Full Name" fields to the form. Name the form, save it, and then click the Publish button. 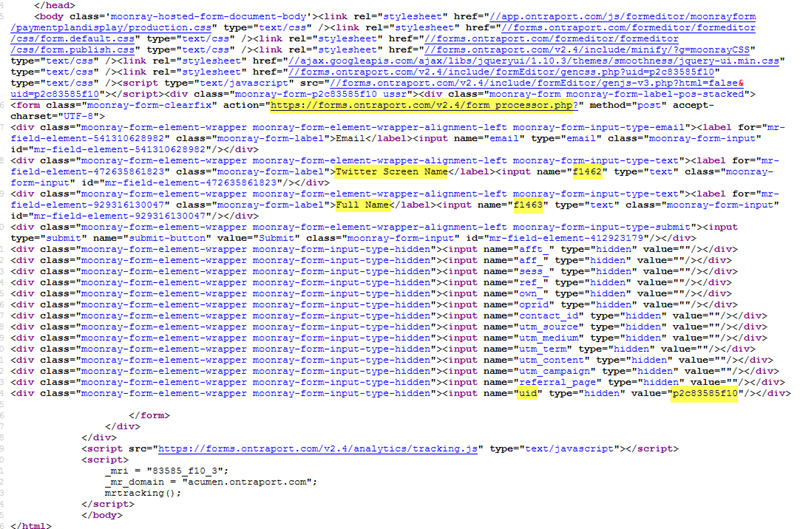 On the Publish Form screen click the Host My Form link on the left. Copy the URL and paste it into a new web browser window to display the hosted form. Don't worry about the style or format of this form as it will never be shown to your contacts. The Twitter Screen Name field ID, f1462 in the image above. It will have different numbers after the f on your system. The Full Name field ID. In the image above, it is f1463. On your system it will have different numbers after the f.
The form's uid. In the image above, it is p2c83585f10. On your form's code it will include the prefix p2c, but the rest of the numbers will be different. 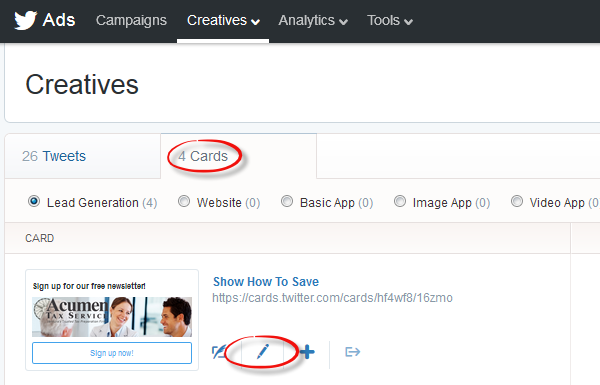 In your Twitter Ads account, click on Creatives > Cards to configure the Twitter Lead Generation Cards you have created. 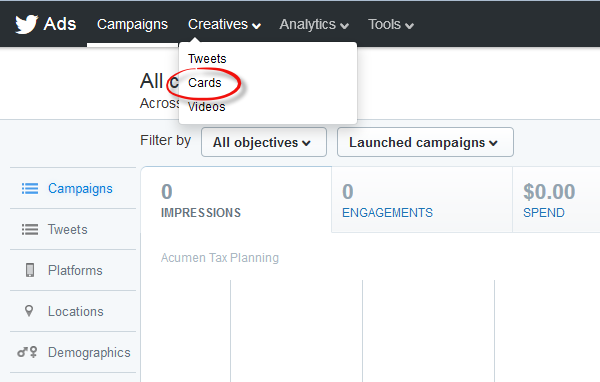 Click the Cards tab, and select the Lead Generation radio button to reveal the Twitter Lead Generation Cards you have created. Click the pencil icon to edit the first card. In the Custom Key Name space on the line with the Name label, paste the equivalent f1463 code you obtained from the form's code. The numbers after the f will be different than shown here. In the Custom Key Name space on the line with the Email label, type email. In the Custom Key Name space on the line with the Screen Name label, paste the equivalent f1462 code you obtained from the form's code. The numbers after the f will be different than shown here. If there isn't a space to add an entry under the Custom hidden data values title, click the Add another hidden field button. Then, in the left side, type in uid. On the right side, copy and paste the form's UID copied above. The number will start with p2c but will otherwise be different than the number shown in the image above. 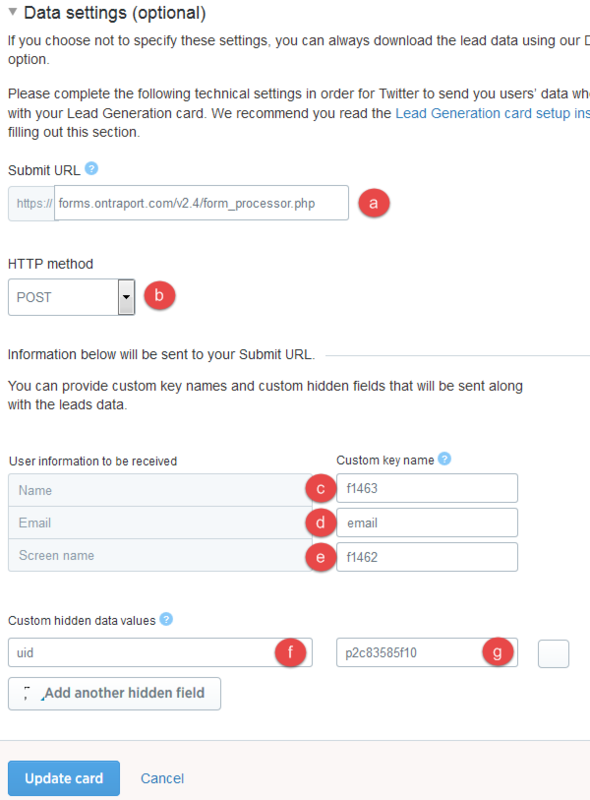 Configure the rest of your Twitter Lead Generation Cards in the same way. Each card must be configured with the Submit URL, HTTP method and field information as shown above. Q. Can I have Twitter fill the First Name and Last Name fields? A. No, Twitter provides only a full name, both first and last. You will need to manually populate the First and Last Name fields in the Contact Records. If you have many Twitter leads, you can export all records with a Full Name entry, use Excel to split the names, save it as a CSV and then import the file using Merge and Underwrite to update the Contact Records. Q. Can I put the Full Name into the First Name field instead of creating a new field? Q. Can I use free Twitter Cards with ONTRAPORT? A. Yes. Follow the instructions at our Free Twitter Cards article.